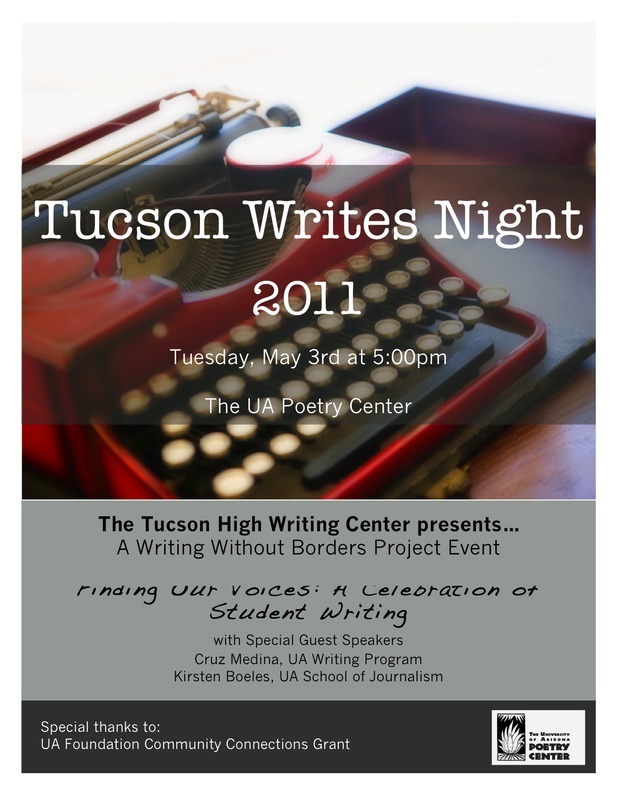 "Tucson Writes Night is an event-concept proposed by a group of student tutors (we prefer the term “peer mentors”) at the Tucson High Magnet School Writing Center. We coordinate an event that brings together students, their families, teachers, and community members to celebrate the work of our Writing Center and to showcase examples of excellent student writing. The event will run from 5:00-7:00pm on Tuesday, May 3rd. 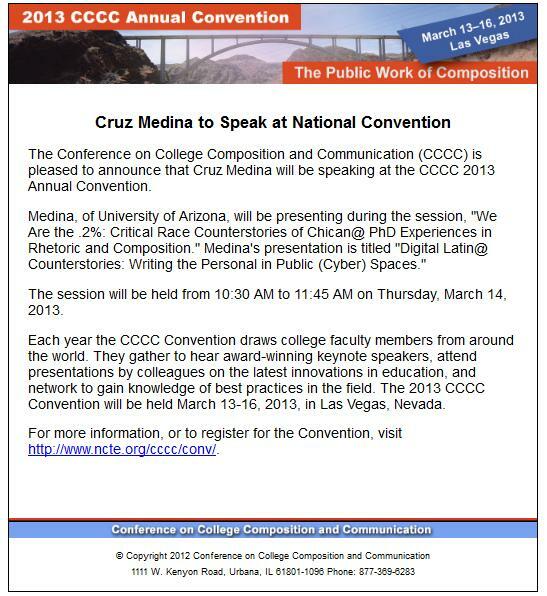 Activities include guest speakers, a brief introduction to the THMS Writing Center through a student-directed multimedia piece, and the reading of selected student writings. It's tough to make out on the image above, but I'm one of the invited speakers along with journalist Kirsten Boeles who will be kicking the night off, talking about writing.